A great score is not the work of geniuses. It is possible through diligent preparation, perseverance, and practice. Our Deep Learning Methods provide the in-depth knowledge to develop the skills necessary to score high on the SSAT. A system of conceptual sessions coupled with practice exercises and simulated tests does the magic. Our course offers more instructor time than any other competitor through a combination of conceptual sessions and practice test simulations anywhere, allowing you to advance using the most complete test material available. Grades Covered: Middle School, High School, College. Class Mode: One-on-One or small groups. Session Delivery: In-person or live online. Lesson Length: 60-90 minutes, depending on student need. Subjects and Programs: Math, Science, English, Social Sciences, AP, IB. Our enthusiastic tutors will transform the impossible subject into a simple concept that you will understand and apply. Only great educators have such a talent. During your first meeting, your tutor will set expectations, will customize the learning to where you really need attention, and will work with you until learning has occurred. After recovery, your tutor will move forward to be one step ahead of the classroom, complementing your instruction with upcoming topics. Tutoring sessions are delivered in-person or live online, using an interactive digital whiteboard with multiple apps and tools to enhance the session delivery. Students can save their work after every session. Tutoring sessions that are beyond the 25-min driving distance from Coral Springs, FL and any other out-of-state or international request will be delivered online. The same tutors who we know well and work for us are available for online tuition. Our tutoring service is the same for home tutoring or online tutoring. We don’t believe in making you search through hundreds of tutor profiles to pick an online tutor suitable to your needs. We know our tutors, and we can assign the right teacher for your child. After an initial session, you can decide if you want to continue with our proposed teacher. For online sessions, we use Skype and an integrated online whiteboard system to create a fully interactive learning experience which allows the tutors and students to build up a rapport similar to an in-person tutoring session. 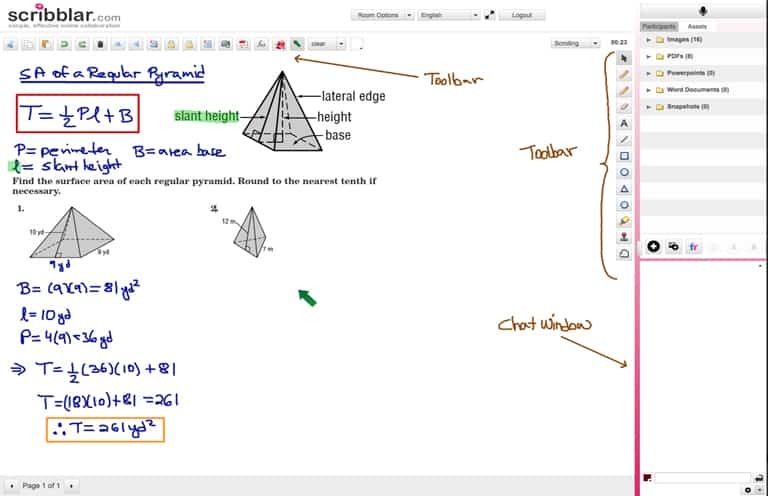 The online whiteboard is used collaboratively by tutors and students to enhance learning. Tutors can solve complex equations, send pictures of worksheets, or draw diagrams while students can also use it to work interactively by underlining sections of a document, using an online cursor to point at specific items on the whiteboard, upload worksheets, and even draw or solve on the whiteboard suign the writing tools provided. Because our tutors do not have to travel to your home, they can be much more flexible about scheduling. You can program the sessions around your busy life rather than changing your life to accommodate our sessions. When sessions are online they are easily saved for future reference, and our tutors will make use of technology for illustrative purposes by using documents in many formats, animations, drawings, and diagrams. We provide the same high quality tutors, who have all been screened, trained into our programs and system delivery methods, and all have an unusual passion and ability to teach. By learning the concepts and improving your creative processes, you will be prepared to tackle more complex material in class. Sessions can be delivered in-person if you live within 25 minutes from Coral Springs, FL, or online through our face-to-face live, interactive digital whiteboard. Learn and reinforce the concepts you’re struggling with, and develop the mindset needed to ace your next test until you achieve mastery. Our tutors will customize the learning to fit the student’s needs and academic goals. Our approach to tutoring delivers proven results. Sessions can be scheduled by email, phone, and text. Our tutors will try their best to accommodate the sessions to your availability. before a test, quiz, or project. and improve on one subject. What are you waiting for? Join the group of satisfied students who worked their way to academic success! LOOKING FOR SAT/ACT TEST PREP?